[Galaxy S7 Edge] How long will it take to charge the battery? The Samsung Galaxy S7 and S7 Edge have larger battery capacity and support a feature which enables you to charge much faster than previous devices. On average, the Samsung Galaxy S7 battery will take 90 minutes to fully charge from 0% when using a wired fast charger and will take 140 minutes when using the wireless charger. The actual charging time may vary depending on the charging conditions and the device state. 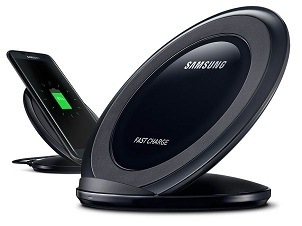 [Galaxy Note 5] How to use the Fast Wireless Charging? [Galaxy Note 5] How can I monitor and extend battery life?